Year 3 launched their new creative learning project with a dress up day, when children came to school dressed as a Greek god or goddess. I am sure you will agree the children looked fantastic! As part of their geography work, Year 3 used maps to identify and locate countries, seas, mountains and cities to help inform their history learning. Year 3 learned about the key events in Ancient Greek history and then placed these on a timeline in chronological order. 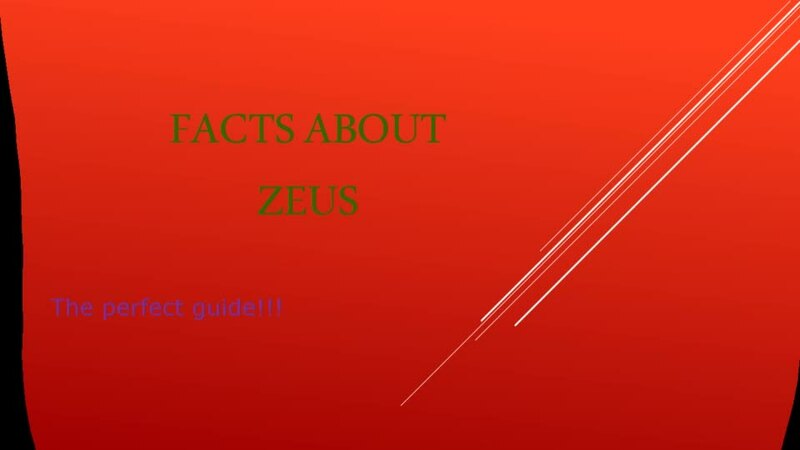 Year 3 used library books and the internet to research lots of facts about the history and famous monuments of ancient Greece, the climate and food to find out why modern Greece is such a popular holiday destination. 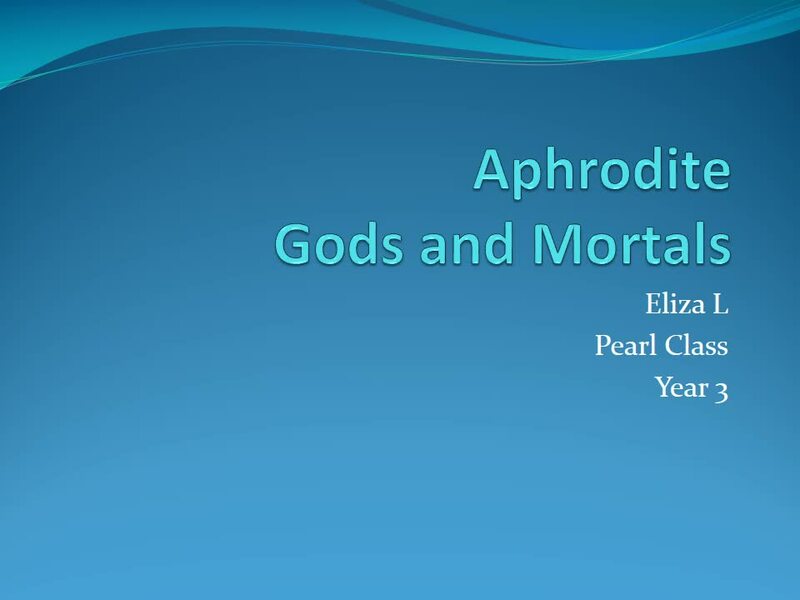 Children researched facts about gods and goddesses and presented their learning in PowerPoint presentations. Children used books, pictures and the internet to identify key facts about Ancient Greek soldiers, their armour and weapons. Year 3 used laptops and library books to learn about life in Ancient Greece by observing the art work on Greek vases. In their D.T. lessons the children then created their own vases building up papier mache over a balloon structure, learning how to strengthen the structure of their models. Children then painted and decorated their vases, making their patterns and pictures look as authentic as possible. 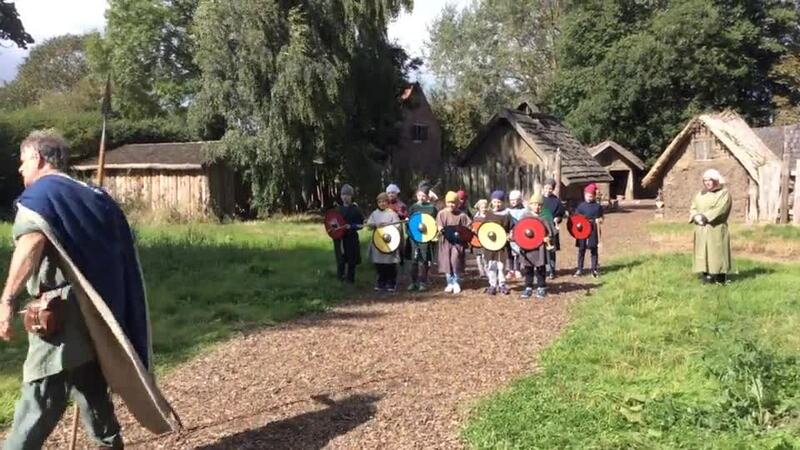 To launch their project on 'Raiders and Traders' Year 4 went on an exciting trip to Murton Park, to fully experience what it was like to be a Viking. The children were greeted by a strong Viking woman named Runa, who prepared them for the day ahead. The children dressed as Vikings and, for one day only, the adults dressed as the children’s slaves! They then made their way to the Viking village where they met ‘My Lord’. Once My Lord had accepted them into his village, it was time to get to work. Throughout the day the children got to be craftsmen, shaping and decorating their own individual pots, farmers, preparing the land to ensure the crops would grow, they ground the flour for bread-making and collected wood, and they also learned how to be powerful Viking guards. It was a perfect, fun-filled day that helped to kick start our 'Traders and Raiders' project. In their Cornerstones learning, the children learned about significant Viking events and placed them in chronological order, and discovered where the Vikings came from and exactly where they settled, including looking at maps of places that were very close to home! Year 4 were given the choice of finding out about an aspect of Viking life they wanted to know more about. The children used library books, primary internet websites and information gained from their visit to Murton Park to research information and make notes. The children then chose how to present their learning. Click on the first picture below to view a photograph selection of Year 4's project work. Click on the first picture below to view a photograph selection from Year 4's express event. Year 4 started their learning about Romans with a workshop day provided by museum staff from Murton Park with a Roman Centurion who taught the children all about life as a Roman soldier. The children learned all sorts of brilliant facts and enjoyed an exciting day full of activities including a themed presentation and interactive talk, illustrated with a wide range of authentic artefacts. This was followed with craft and artefact handling activities and an active session practising preparations for a Roman battle. 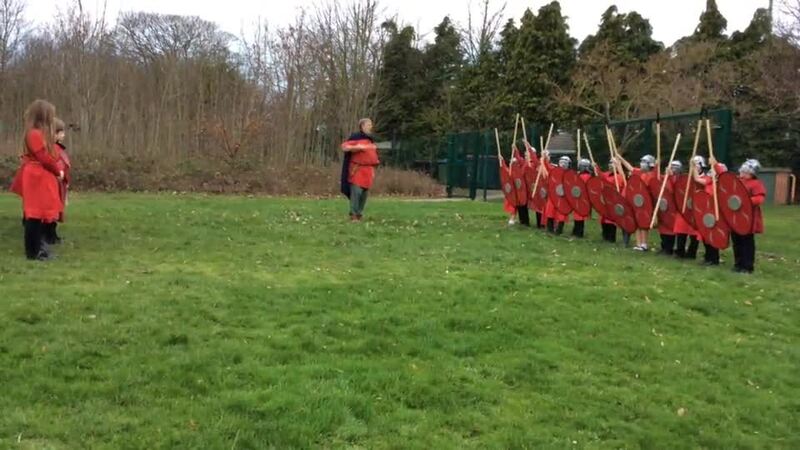 By the end of the day, all children successfully passed their Diploma and became fierce members of the Roman Army! As part of their workshop day, Year 4 handled authentic Roman artefacts. During their project, children used their research about Roman and Celtic shields and Celtic embroidery designs to develop and create their own beautiful shield and embroidery designs. After an exceedingly busy few weeks learning (nearly) all there is to know about the Romans and Celts, Year 4 were finally ready to share all of the exciting activities and brilliant work they had done! Their express event was jam-packed (much like the Colosseum) with parents, ready to see what the children had been learning about. Suddenly, the hall transformed again into the colossal Colosseum and parents were able to witness a highly entertaining and dramatic gladiator fight between Maximus, the Samnite and Crixus, the Retarius. 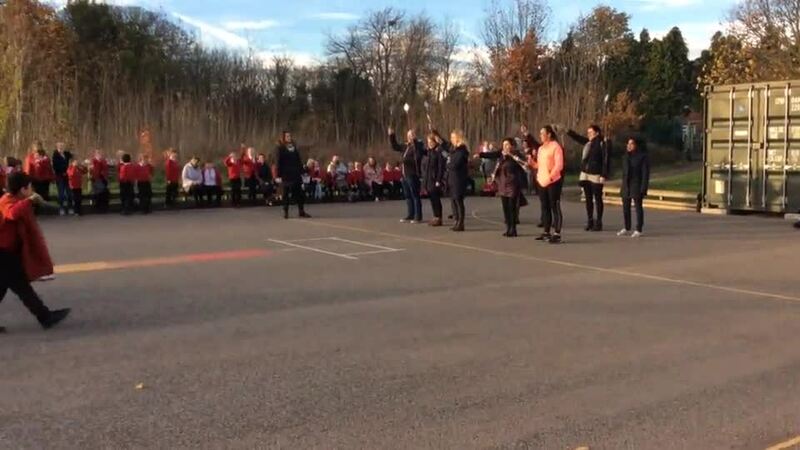 Once the battle was over and Maximus was victorious, parents were then challenged to beat the children in a game of Tabla Lusarius; to translate and write in Roman script and explore the fantastic work the children had done for their ‘I Am Warrior’ project. Kicking off their learning project on 'Pharaohs' with a trip to Weston Park, Year 5 explored the exhibitions in the museum before undertaking the task of mummification. Extracting brains through the nostrils and placing vital organs in Canopic jars were just a few of the tasks they undertook before making their own ‘shabti’ to be buried alongside ‘Dead Fred’. Did you know that the Egyptians used to bury their slaves alive alongside their mummified bodies so that they would have a slave in the afterlife? This didn’t last long because the slaves would run away every time someone in the family fell ill. This is why they began making a ‘shabti’ (a small model of a slave) to be buried alongside their mummified remains. All of the children decided that making a ‘shabti’ was much kinder than being buried alive! Click on the first picture below to view a photograph selection from Year 5's visit to Weston Park. Back at school Year 5 developed their historical enquiry skills by finding out about Ancient Egyptian artefacts, considering where they came from, when they were made, what they were made from, what they were used for and who might have used the artefacts. Children researched famous pharaohs and the role of pharaohs and they enjoyed presenting their learning in different ways. Research about Cleopatra, presented in a very creative way! Year 5 used information from their workshop at Weston Park and research back in class using library books and the internet to present their learning about the mummification process in their 'Royal Embalmer's Guide to Embalming'. Children learned about the symbolism of the canopic jars used by Ancient Egyptians to hold the organs of the human body as part of the mummification process. Year 5 then used their D.T. skills to design and make canopic jars using papier mache and lots of gold paint. As part of their geography work Year 5 learned about the importance of the River Nile to the Ancient Egyptian people. Year 5's class text 'The Egyptian Cinderella' linked to their history project and inspired their own writing. Year 5 also enjoyed finding out about Ancient Egyptian hieroglyphics and creating their own messages. Children also created fact files, sketches and got involved in design technology tasks by building a model of a pyramid, constructing an Egyptian temple and decorating the walls with hieroglyphics, designing and creating a sarcophagus and creating a mask for a great Pharaoh. As part of their 'Local History Study', Year 5 used the internet and old photographs to find out about the fascinating history of the Copley family and the Copley Medal and then presented their research in their own preferred way. Our School Houses are named after some of the eminent scientists who have been awarded the Copley Medal - Einstein, Darwin, Hawking and Hodgkin. To find out more about the Copley Medal please click here. Year 6 children from Copley Junior School were evacuated from Doncaster to Murton Park to launch their study of 'A Child's War'. On arrival, they were met by an evacuation officer who escorted them to the village hall. During their visit, children experienced what life was like for children during World War 11. Activities included: washing and ironing clothes; making farmhouse crunch and butter; blast taping windows; carpet making; air raid drills and most children’s favourite - extinguishing a small incendiary bomb! Click on the first picture below to view a photograph selection from the visit to Murton Park. Children then worked independently to choose an aspect of World War Two that they wanted to find out more about, they carried out their own research and then decided how to present their learning. Great work Year 6! Year 6's silhouette paintings of the Blitz. Pupils in Year 6 used textbooks and websites to research information about the causes of World War 2 before creating their own written reports. In Year 6 the children have worked in pairs to create poetry on the theme of war and evacuation and we have shared some of their poems below. In their maths work, Year 6 used their investigative maths skills to take on the challenge of solving a World War 2 Transposition Cipher. Using their knowledge of factors and multiples children had the vital job of codebreaking Nazi messages in order to protect ships bringing essential supplies to Britain.